Epoxy flooring offers a wide variety of benefits for industrial, commercial, and residential spaces looking to enhance their floors. For low prices, epoxy flooring systems give you the chance to design a new floor, elongate your current floors lifespan, and give a layer of protection. For more information on how epoxy flooring is the right choice for you, give us a call. Our professional team here in Fort Wayne is ready to answer any questions you may have. Learn more about the benefits of asphalt roofs, then CONTACT US for a FREE ESTIMATE. Epoxy concrete floors are popular because of their budget-friendly prices, long lifespans, and unique designs. If you’re looking for a new look for your floors, give us a call today! Our Fort Wayne staff is quick to help and quick to serve. Our epoxy flooring installers have years of experience in their field and have learned the dos and don’ts of epoxy floor coatings. It is crucial to have a professional install any epoxy coatings you are looking for because there are assessments and tests that should be conducted prior to coating your floors. First, if moisture is present in the space where you are wanting epoxy installed then coatings have a higher chance of bubbling and blistering off. Testing your concrete and the surrounding area is something our epoxy coating installers will do. Another important test, especially in a high foot-traffic area, is to test for strong or harmful chemicals that could be present on your concretes surface; furthermore, if these chemicals are not properly removed, they can interfere with the floor coating. One last test, usually used for garages, plants, and warehouses, is an oil test because if grease or oils are present on your concretes surface the epoxy coating will have difficulty properly bonding with your concrete. When all of the tests have been run, our epoxy flooring professionals will remove any prior floor coatings that may be present: Then, our professional installers will double check your floor for cracks, abrasions, or stains that could hinder the finished product or the overall installment of your epoxy floor coating. All of this inspection, fixing, and testing will most likely leave your floors in need of some cleaning, a professional would know this. If debris gets stuck under the coating, there can be lasting damage on your concrete. Our professional epoxy installers know the different weather you face in Fort Wayne and they know how to regulate the temperature before and during install. Both are very important in the successful setting of your epoxy coating. If your concrete is looking questionable or you yourself of questions, let us know. Our professionals are here to help you with whatever needs you may have. EPOXY FLOOR COATINGS OFFER SO MANY BENEFITS AT EXTREMELY AFFORDABLE PRICES. OUR EPOXY COATING COMPANY IS HERE FOR YOU. Epoxy floor coatings can be used on a number of different surfaces and as such, are priced differently in each situation. Each installation is unique between the epoxy installer and the client so if you have specific questions about pricing, give us a call. There are, essentially, three different categories that epoxy coatings can be divided into. First, there is the 100% epoxy making it the most expensive and is best handled by one of our professional epoxy coating installers. Then there is water and solvent based coating that is approximately 50% to 50% epoxy. The last epoxy coatings are water-based epoxy floor paints. All of these epoxy floor coatings have pros and cons, call now to speak to one of our professionals! When professionally installed, epoxy flooring systems range between $3-$12 per square foot. Making that out to be between $750- $3,000 for one-car garage space and so on. Do it yourself kits typically end up costing you more money because of the installers inability to test the area properly before installing the epoxy coating. Our Fort Wayne Epoxy Flooring Company is here for you. A professionally installed epoxy flooring system is designed to last you for 20 years or more. For this type of advantage and low costs that come with it, there really is no better deal, and we want to help you with it. The durability and longevity of these floors beat out any possible competition and epoxy flooring companies know this. Other companies may try to sell you epoxy coatings with an upcharge, however, we want to work with you. For quick and professional services at affordable prices, give us a call. Below you will find some of the benefits an epoxy flooring system. WANT TO KNOW MORE ABOUT YOUR NEW EPOXY FLOORS? When dried, an epoxy flooring surface becomes, smooth, resilient, and easy to clean. The chemicals used on these floors help keep dirt, water, chemical, and oil spills on the surface making them easier to wipe up and keep clean. When installed by one of our professional epoxy flooring installers, you are spending so much less for so much more. 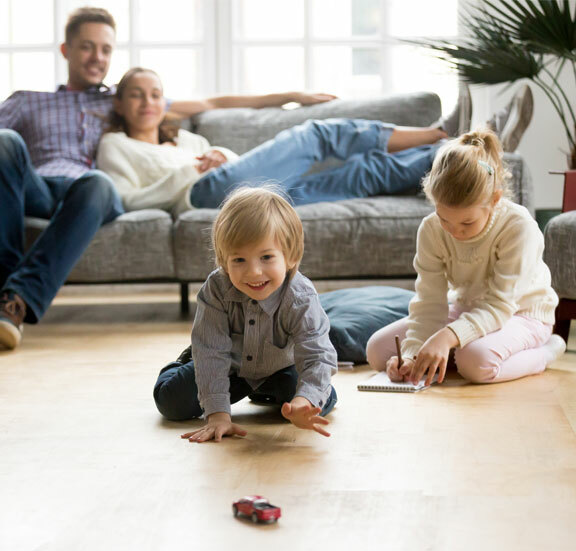 These floors reduce the amount of replacement in vehicles, machinery, and the flooring itself will save you money by how much longer it’ll last. 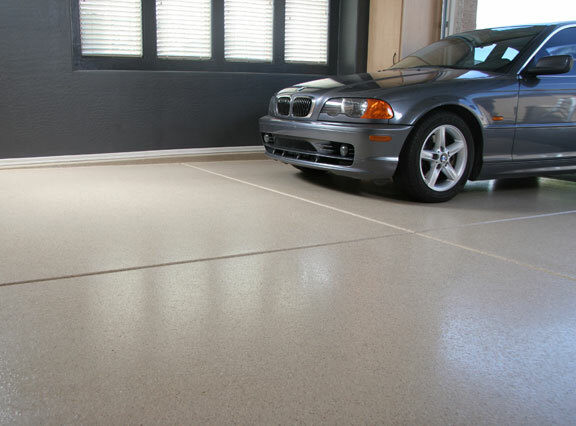 Epoxy floor coatings are customizable, giving you a unique look wherever you decide to have the system installed. You can choose between colors and patterns, allowing each floor to look elegant and distinct. These floors can handle even the toughest of spills, tough impact, and daily use that would otherwise cause wear and tear. The floors ability to resist even the harshest of environments allows it to last far longer than its competitors. Our professionals know that you need your floors back as quickly as possible. 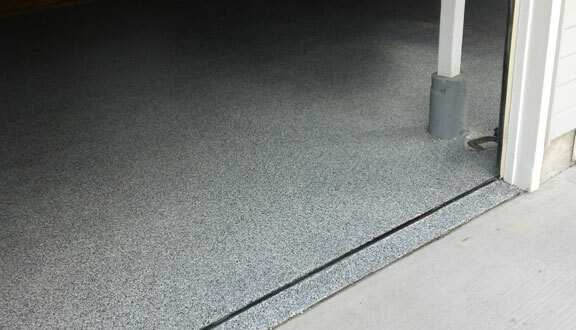 So, without sacrificing the final product, we want you to know that getting an epoxy flooring system installed in a garage, home, warehouse, or retail business will be fast. We want you back on your floors as soon as possible.